Exhibition “Alternative fashion before the arrival of gloss, 1985-1995” showcases the history of alternative fashion movement, a trend that emerged at the junction of rock and squat club culture during the period that started in early perestroika. Ended with the arrival of glossy fashion magazines in mid-1990s. In the mid-80s the intoxicating air of freedom provoked an unprecedented rise of underground culture in Soviet Russia and its neighboring republics. The mingling of Avant-Garde artists, musicians, representatives of various subcultures – of punk, rock, the New Wave – gave birth to a unique phenomenon of alternative fashion with shows often turning into performances. 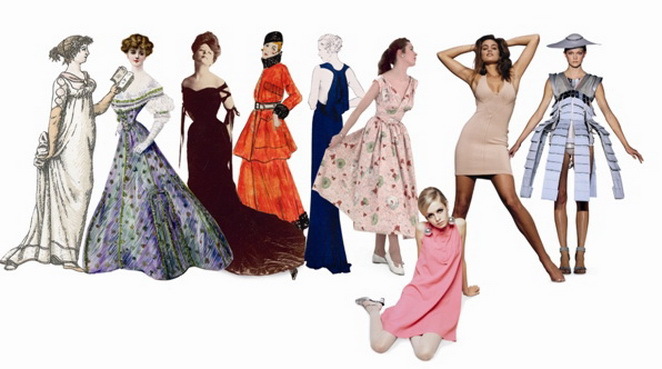 If in the early days of the movement it was just a romantic and courageous amateur initiative, later on the alternative fashion designers started to recognize their uniqueness and claimed professional appraisal, creating authorial collections and shows that were acknowledged and well received in the fashion world. The phenomenon of alternative fashion was noticed and appreciated by such western couturiers as Vivienne Westwood and Yohji Yamamoto, whereas Paco Rabanne, Andrew Logan, Zandra Rhodes, and many others took part in the Riga Untamed Fashion Assembly, conceived and organized by Bruno Birmanis. 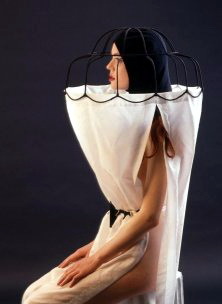 The Untamed Fashion Assembly endured until the late 90’s (1990 – 1999) and over years it proved to have its place among the most noticeable events in the Baltic and even European fashion world. The creative communications of fashion in a certain sense superseded the social ones and were situated outside political quarrels that afflicted the Post-Soviet space. They live on up until now, fostering the artistic exchange and professional mobility. Curators of the exhibition – the author of anthropological and critical essays on underground art, owner and curator of the kompost.ru subculture archive Mikhail Baster (Михаил Бастер); expert in photography, curator and teacher Irina Meglinskaya (Ирина Меглинская). Exhibition “Alternative fashion before the arrival of gloss, 1985-1995” was created in collaboration with the Center for Contemporary Culture “Garage” (Moscow). Garage Center for Contemporary Culture – a major non-profit international project based in Moscow, founded in 2008 by Darya Zhukova (Дарья Жукова) – is dedicated to exploring and developing contemporary culture as a platform for new thinking. Garage brings important international modern and contemporary art and culture to Moscow, to raise the profile of contemporary culture and to encourage a new generation of Russian artists. These aims are explored through a series of exhibitions ranging from major surveys of important collections to single-artist retrospectives and group exhibitions. Garage also hosts a strong program of special events, including talks, film screenings, workshops, performances and creative activities for children and young people. It owns a unique Russian contemporary art archive, is working on developing and adopting a range of innovative approaches to children’s and family education, and supports the artists and cultural professionals. The Garage Center provides the basis for numerous experimental projects – exhibitions, discussions and educational events. Garage Center for Contemporary Culture is an uncommercial project of the foundation for art support and development IRIS. June 8, 13.00, at kim? – meeting with the co-curator of the exhibition Mikhail Baster. June 8, 17.00, at the Birojni-ca in the Berga baza-rs – a conversation-discussion with the participation of artists, designers, cultural theorists and curators; moderator – the art critic Vilnis Vejs. Contemporary Art Centre12/1 Maskavas Street Riga, LV-1050, Latvia. Previous Previous post: The tourist industry is not loyal to Russians. Next Next post: The GM causing epidemic in Europe 2013.